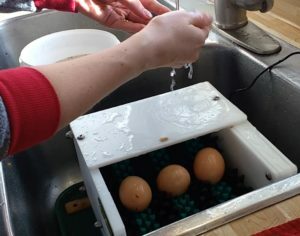 Update: If you are a serious egg producer, please also check out our hands-on review of The Little Egg Scrubber egg washing machine. 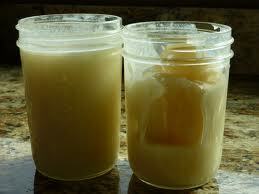 Back yard chickens are phenomenal – feed them waste from their kitchen and they in turn feed you fresh eggs daily. But when you catch the “chicken bug” in a big way, you’ll end up with so many eggs that just washing them turns into an hour long chore. 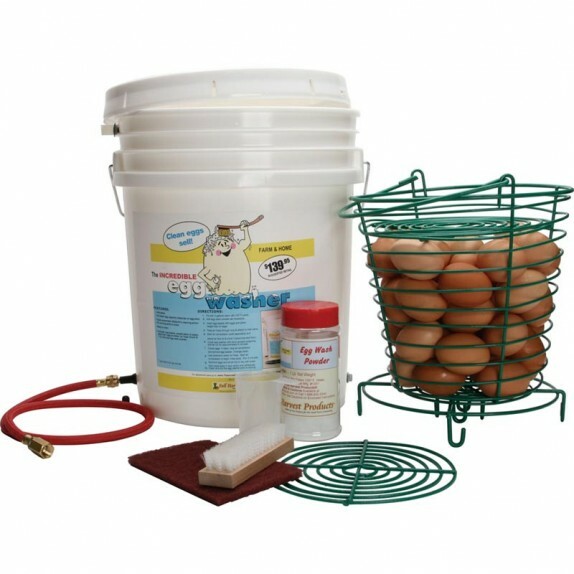 A bucket based egg washer is ideal for someone who washes several dozen at a time. The egg washer we built for this article will fit 70 of the golden-centered orbs at a time. 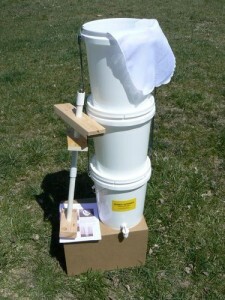 The basic premise is simple – air is blown through holes in a submerged pipe resting at the bottom of a standard bucket. The air flows upward through the bucket in the form of bubbles, which agitate the dirt off the eggs. The commercial version of this egg washer pictured above sells for a burly $135 on Amazon. The DIY version we built below cost us about 30$ in parts. Keeping honeybees is turning into a popular cottage industry. And what’s the beekeepers best friend? Here’s a hint: it’s also the pig and chicken keeper’s best friend, it’s plastic, and it’s 5 gallons in size. 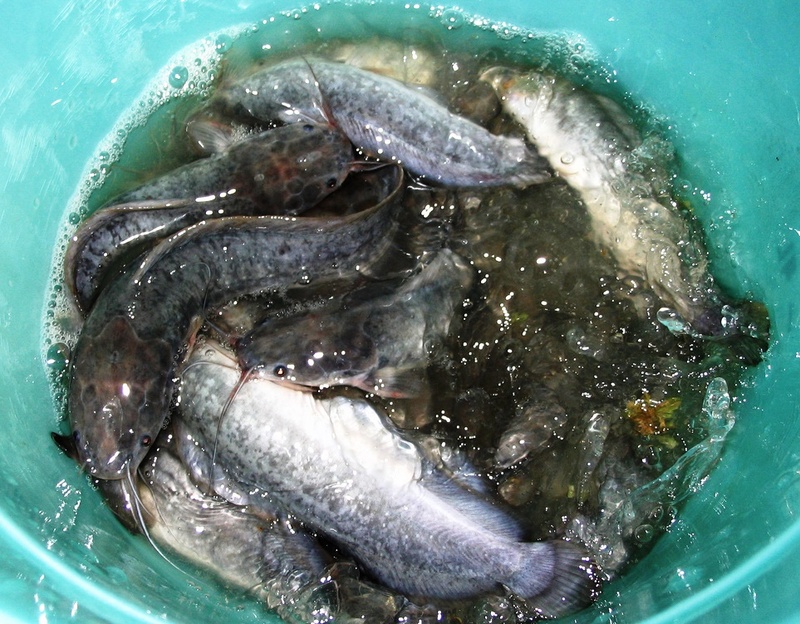 Aquaponics produces food better than any farming system mankind has come up with so far. And best of all, it’s completely organic. You could say I am Hooked on Ponics! 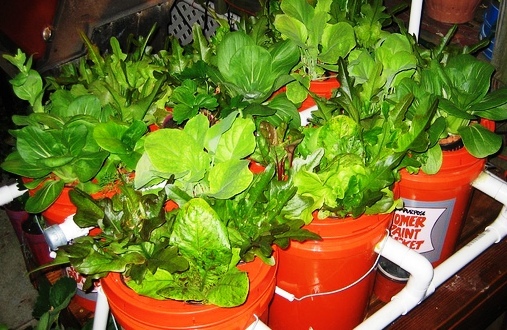 Ok that’s a really bad joke, but seriously – Aquaponics is really exciting. This entirely new field of farming is growing faster than weeds right now. These clever cat boxes were sent in by Five Gallon Correspondent Simon F.
He built dozens of these for a cattery struggling to keep up with explosive growth. This DIY model is more convenient at just a third the cost.